Comments Off on Board Meeting tonight! 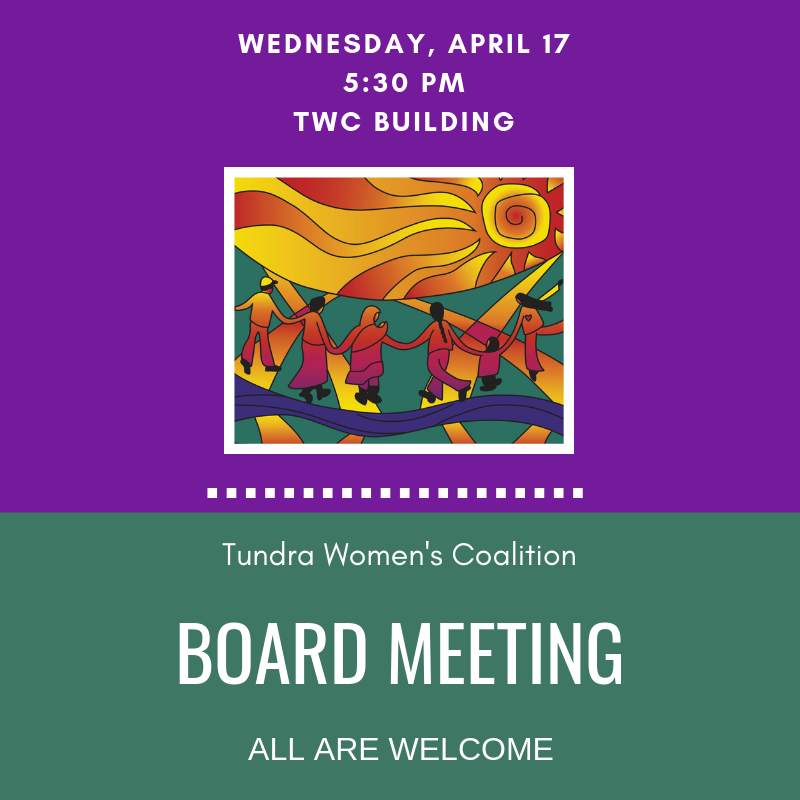 Join us for Tundra Women’s Coalition’s Annual Meeting on Friday, May 10th at 5:30 PM. 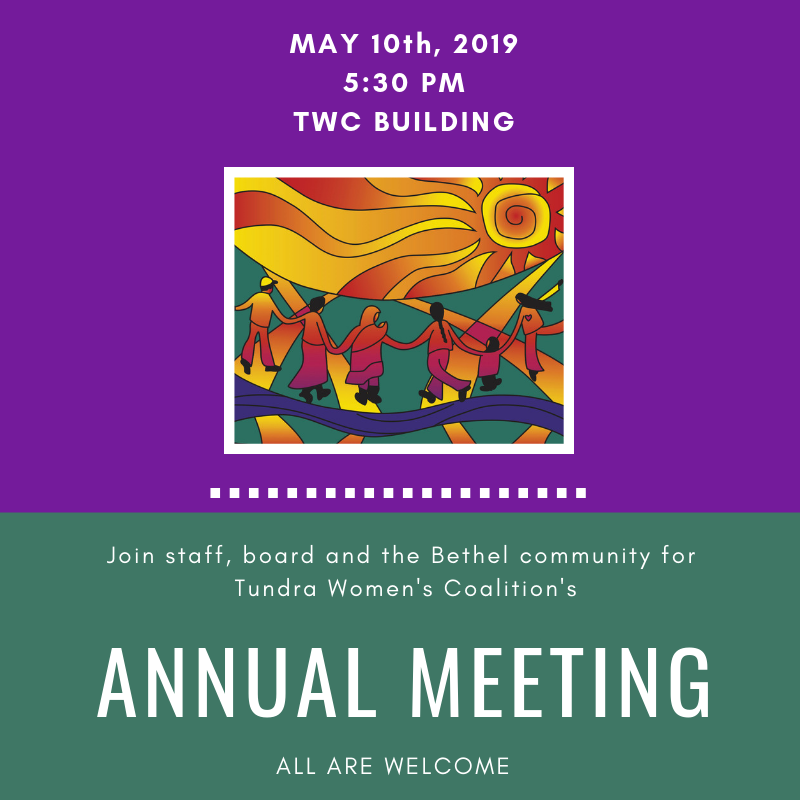 Hear about the past year at TWC and our path forward in 2019. We look forward to seeing you there! April is Sexual Assault Awareness Month. The theme for #SAAM this year is “I Ask,” which highlights the importance of asking for and receiving consent in all interactions. Remember that consent is an affirmative YES. A shrug or no answer at all is not consent. Have questions? Check out the resources at nsvrc.org! Comments Off on Donate with Pick.Click.Give. Please help save a life today by making a Pick.Click.Give. contribution to TWC when you file for your 2019 PFD. If you have already filed and would like to add or increase a Pick.Click.Give. 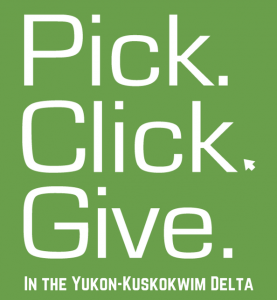 contribution, you may do so by visiting pfd.alaska.gov and clicking the green Pick.Click.Give. button. Remember, contributions made to TWC through Pick.Click.Give. are eligible entries into Bethel Community Services Foundation’s Give+Get drawing for $1,000 or $500! 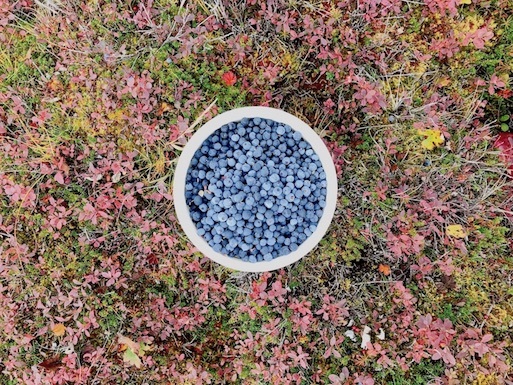 Comments Off on Calling all qaspeq makers! Qaspeq sewers, we need you!! TWC is planning to ramp up our Domestic Violence Awareness Month Purple Qaspeq campaign this year with a purple qaspeq auction, but first we need some qaspeqs to action off. We have lots of nice purple fabrics, we just need some fabulous creative sewers to donate their time to turn it into beautiful qaspeqs for us. 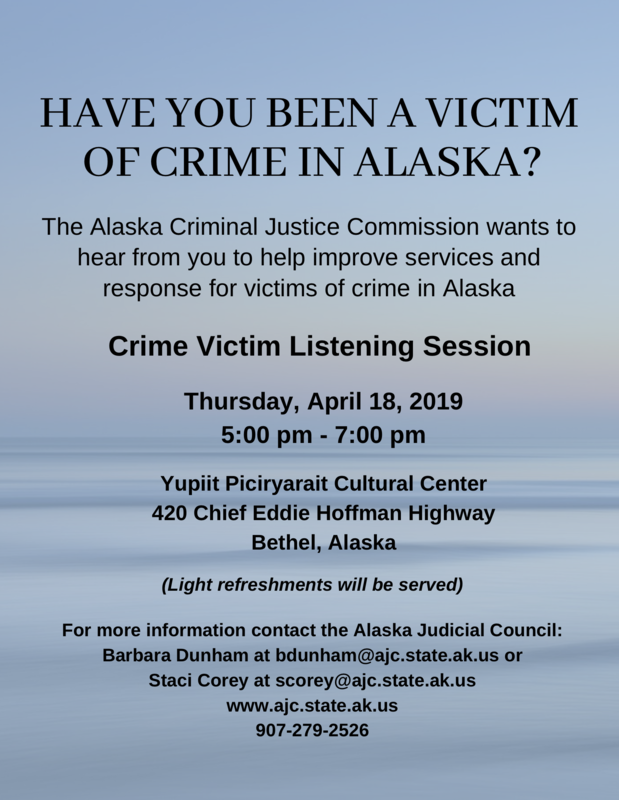 If you or someone you know would like to help us with this project, please email or call Lisa at lisa_whalen@twcpeace.org or 907-545-1855. Thank you so much for working with us to make the Delta safe for all women and children! Last week, TWC hosted a retreat for shelter residents and staff together, called Qinuitnakun Pillgutekluta (Togetherness Through Peace). The day began with an Elder-led prayer & breakfast with the shelter families and TWC staff. Several residents commented on how nice it was to eat together. The families prepared to go on a boat ride and look for berries. An Elder accompanied the families on the boat. Please join us for Tundra Women’s Coalition’s Annual Meeting on Saturday, February 3rd at 4:00 PM. 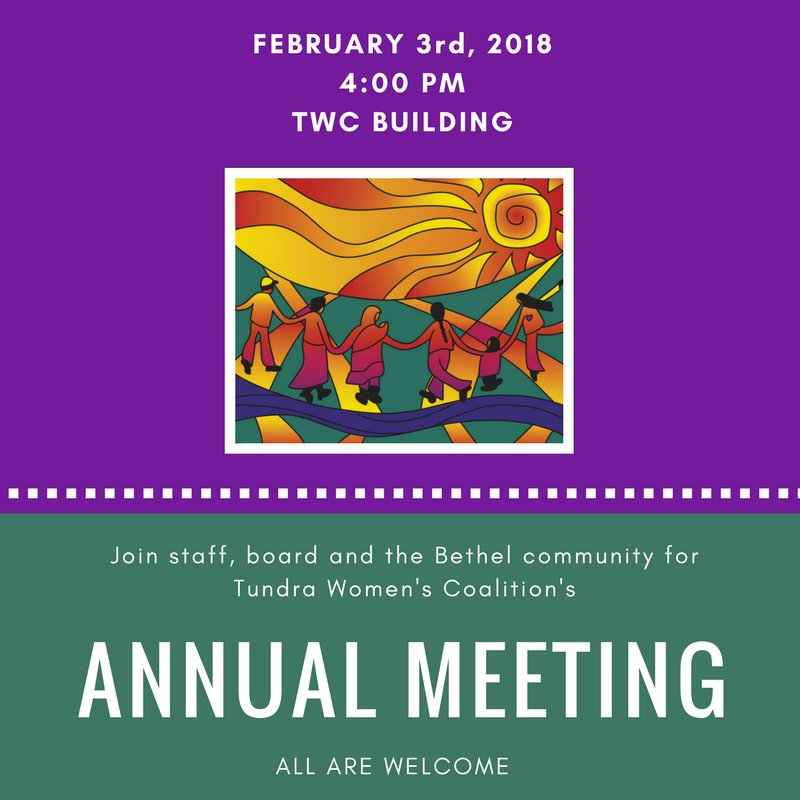 Hear about the past year at TWC and our path forward in 2018.